Some of the land SAHC conserves is transferred to public ownership and can be visited and enjoyed by all. These are just a few of the public lands, parks, and national forests we have helped protect — for you to hike, fish, camp, bird-watch, and more! 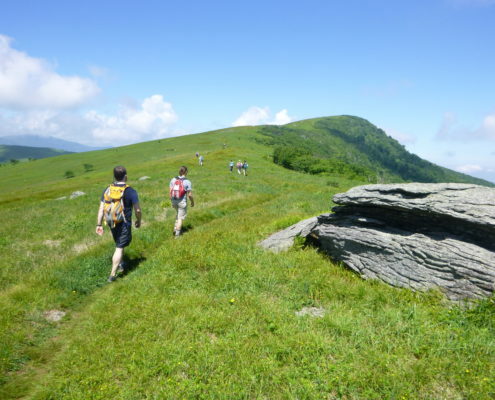 The original inspiration for SAHC’s foundation and our flagship conservation project, Roan Mountain is one of the most biologically diverse areas in the world and home to three endangered high elevation ecosystems: grassy balds (the longest stretch in the world), spruce-fir forests and vertical rocky cliffs. Each harbors regionally, nationally & globally threatened & endangered plants and animals. 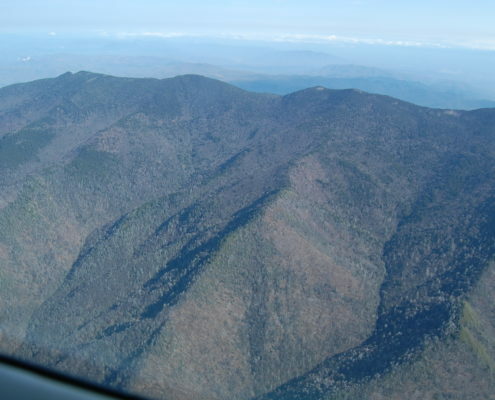 The Beech Mountain resort development had once been proposed for Hump Mountain in the Highlands of Roan, but landowner Oscar Julian would not sell. Years later, Julian honored his commitment to preserve the land. SAHC assisted the US Forest Service in the acquisition of this incredible 1,387-acre tract on Hump Mountain in 1982. In 1986, we purchased the 693-acre Hampton Creek Cove from the Robertson family, then transferred the property to the State of Tennessee for inclusion in its system of State Natural Areas. 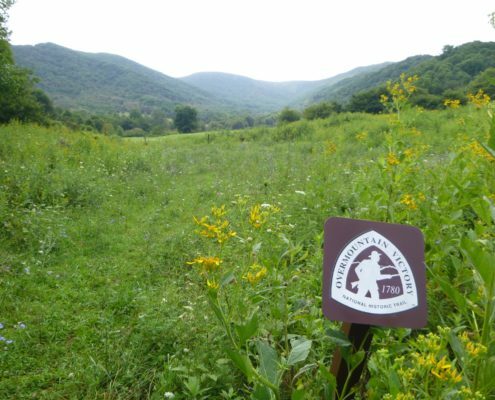 We continue to be involved in maintenance of this remarkable tract, which includes excellent bird habitat as well as a section of the Overmountain Victory National Historic Trail. 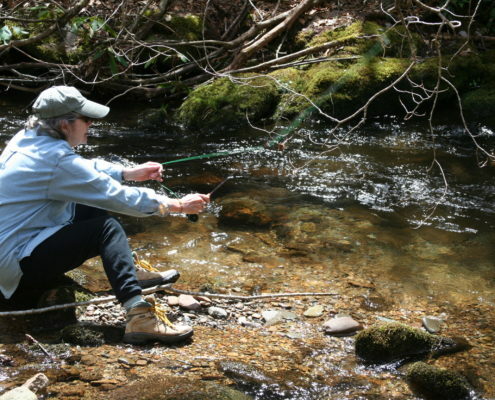 Once identified as a potential development site, the 10,000-acre Rocky Fork tract in Unicoi County, TN, contains 16 miles of blue ribbon trout streams – including habitat for native brook trout – as well as a portion of the Appalachian Trail. 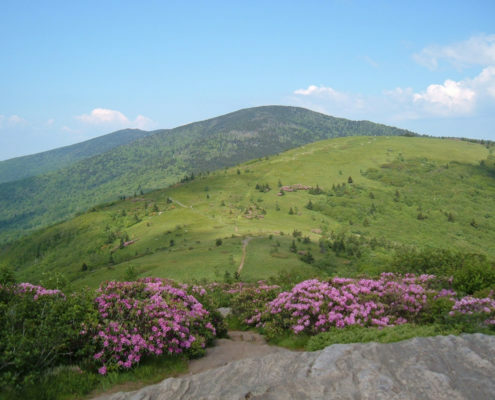 SAHC worked from 2006-2012 to protect this iconic area, in partnership with the Appalachian Trail Conservancy (ATC), The Conservation Fund (TCF), the State of Tennessee, the U.S. Forest Service, and other public and private partners. In 2012, approximately 2,000 acres were designated as Tennessee’s 55th state park. SAHC was instrumental in the protection of this 870-acre conservation easement held by the Clean Water Management Trust Fund, co-managed with SAHC and owned by the Town of Canton. 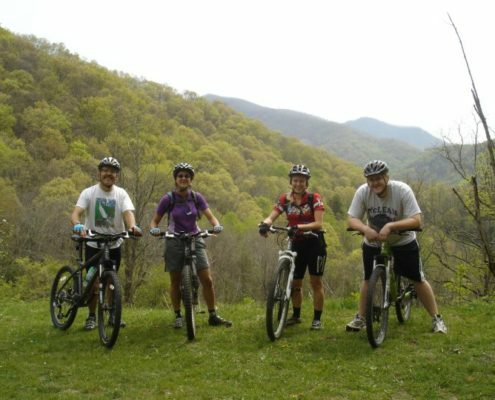 A newly constructed trail system incorporates historical road beds with more than 10 miles of ecologically sound trails, which allow both foot and mountain bike traffic. SAHC raised funds to purchase privately-owned tracts which were later transferred to the State of NC for incorporation into Mt. Mitchell State Park in NC, which boasts the highest peak in the Eastern United States. In 2004, we purchased the popular Deep Gap camping spot on the Black Mountains Crest trail near Mt. Mitchell and transferred it to the US Forest Service for permanent protection. We also hold conservation easements on 10,000 acres in the nearby vicinity – directly visible in the view from the observation tower atop Mt. Mitchell.